Pawn your Marquise Cut Diamonds - Loans on Marquise Cut Diamonds! A diamond is, arguably, only as good as its cut. While princess cut diamonds often appeal to the mass market, a marquise cut diamond has a more luxurious appeal. Marquise diamonds have their origins in the 18th century but are still used in modern jewellery designs today, proving their timeless style. If you are considering borrowing money against your marquise diamond, you may ask the question “how do I pawn my marquise cut diamond in London?” New Bond Street Pawnbrokers can provide loans on marquise cut diamonds at our award winning pawn shop in Central London, including diamonds set in jewellery or individual stones. The marquise cut, sometimes referred to as a football or boat cut due to its shape, is a smooth curved cut, with pointed ends. 58 facets give the diamond an exceptional finish, with the clean lines forming an oval-like shape. The first marquise cut can be dated to the 18th century when King Louis XV of France ordered a jewellery designer to create a cut that resembled the lips of his mistress, Jean Antoinette Poisson. Since the 18th century, the style of marquise diamonds has altered slightly to become the cut we are familiar with today. In popular culture, the cut is perhaps most easily recognised as the cut of the first engagement ring Victoria Beckham owned. Other notable marquise diamonds include the Star of China pendant necklace; in 2013, the pendant sold for £8,726,436. Another example of marquise diamonds being used in fine jewellery is the mysterious Anonymous Diamond Necklace, which features a line of 24-carat marquise diamonds and was sold at an auction for £352,188 in 2011. If I pawn my marquise cut diamond, how will you determine its value? Clarity: Only a diamond expert can provide an accurate measure of the clarity of your marquise diamond. Cut: While the marquise cut is known to be luxurious, the quality of the cut can affect the value of the stone. For example, the points of the cut must be in perfect symmetry. Colour: Naturally coloured diamonds are often considered more valuable than white diamonds; however, a diamond can lose some of its value if it has been dyed artificially. Carat: The weight and carat of the marquise diamond are physical aspects of the diamond which can be measured to ascertain its value. Other factors can increase the value of your marquise diamond, such as its heritage. If you are wondering “what should I bring when I pawn my marquise diamond?” Ensure you bring all the diamond’s important documents with you, including its bill of sale. 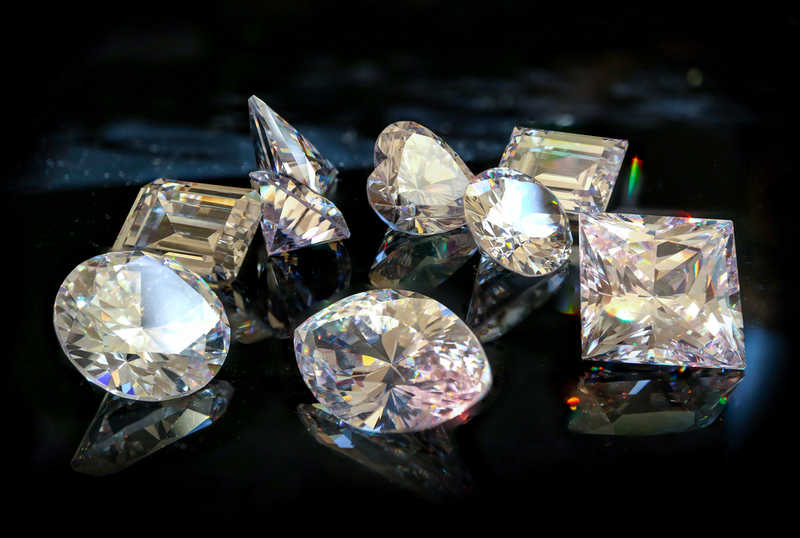 Whether you are looking to access capital against a piece of jewellery or individual stone, New Bond Street Pawnbrokers offer fair loans on marquise cut diamonds. After our free, accurate appraisal service we will store your asset in a secure location, ensuring that once your loan is paid off, your marquise diamonds will return to you in the exact same condition you left them in. To begin the pawning or sales process contact a member of our team today. Alternatively, you can visit us in person at our Mayfair store, an appointment is not always necessary but recommended if you wish to avoid disappointment. Securing a loan against your marquise cut diamonds with New Bond Street Pawnbrokers is a quick and straightforward way to access capital without necessarily parting with your precious marquise diamond forever.